Hello everyone, I hope y’all have been doing well. Today I would like discuss ways to improve our country by involving engineers and engineering concepts in the management of our national systems. I have narrowed it down what I believe to be the 5 basic ideas. As a reference, I have used data and assertions made by Evan Twarog in an article describing the role technocracy in China. Data shows that the government is mostly run by engineers in China and in the government in the US is mostly run by lawyers. In addition, Chinese people believe that knowledgeable elite should run the government which led to a technocracy being a part of the political system. Based on the way government seems to operate in the US, I could see a shift towards the concept technocracy being beneficial for the U.S. as well. Especially considering some of the issues that confront us, such the deterioration of the infrastructure, climate change, drought in various areas through out the country, and the production of energy in regards oil, wind, solar, etc. A technocracy provides the critical knowledge and skill sets to properly deal with these issues. Engineers have a unique skill set that allows them to solve problems through a standard process. On a personal level, I apply this mindset to difficult decisions in my life. I bet you a lot of engineers say the same thing. I don’t know about them but it works well for me. And when considering the successes and failures of both China and the U.S., a correlation between the application of technology and the engineering mindset can be observed. A good example of that in the U.S. is the space program and national arms race in general. It is this correlation that leads to believe that the engineering problem solving mindset would be a good framework to apply to struggling government processes and programs. For years, the culture in China has valued being technologically informed. This means that changes in the direction of the country are more easily understood and communicated to the masses. This is not to say there aren’t people capable of doing that here in the U.S., but there still seems to be a large portion of the political system that caters to the lowest common denominator instead of embracing the intelligence of the U.S. population. A lot of the great engineering accomplishments require a large amount resources to back them up. There are very few people and companies that can fully implement these systems. This means that if there is some technology or engineering program that would improve our country and it is sufficiently large enough that it would be difficult for private organizations, government should not be afraid to step in and help. If applied with an engineering problem solving mindset and backed by an informed public, these projects should benefit the country overall. This is where the practicality of investing money in solving these problems is realized. In a perfect world, providing infrastructure and services to improve the lives of people is enough. But government cannot be expected keeping doing so if it cannot be maintained as far as resources are concerned. This means that sharing the technology nets the government money which can be used to further improve in other areas. Business concepts like public-private partnerships were designed to improve profits and gains for the country through the development of these infrastructure and service ideas. If we can keep this end goal in mind, it can ensure that all government systems improve the country socially and economically. What is your opinion on these 5 concepts? Is there anything you would add or take away and why? If you enjoyed reading the blog post, be sure to like the post and share it with your friends. Thanks for your time and have a good week! What does it truly mean to be an expert? Pablo Picasso is well known for his abstract art that was definitely considering breaking the rules at the time. Yet he was a legitimately good artist, which means he was technically a professional painter. It initially seems like a a quote anecdotally reference to his views as an artist. However, if you dig a bit deeper into what is really beings said, it can be applied to a lot of different fields of study. Think about a business man. He might have some issues in selling a product. There is probably a standard process that is followed to resolve the standard issues, but in this case it might not apply. Therefore, by knowing the rules, he knows when is the right time to break them to achieve the results he desires. It can be applied to engineering or science type stuff as well. Every new break through in science and engineering occurred because some who would be considered a pro and studied in their field made a connection that hadn’t been made before. They succeeded because they went against the norm (“broke the rules”) at the right time and discovered a way to improve a product, project or application. So with this greater concept in mind, it becomes clear that an expert in any field of study knows not only when to follow the standard rules in a given situation, but also when those rules don’t apply and another solution needs to be found. With that being said, I am going to leave you guys with this thought and hopefully you can implement it well in your career or life general – never get so caught up in the rules that you forget to break them when it comes time to do so. As I have told many people before about my job, I have a lot of boring days where people wonder why I need my degree and other technical skill sets to do my job. However, that knowledge informs me when a serious situation could come up that needs to be addressed, and I used that knowledge to prevent any further issues. How do you guys interpret the quote? Is there a particular story and event that describes your opinion? If you enjoyed reading, like the post and share it with your friends. Thanks for your time and have a good week! Hello everyone! I hope y’all have been doing well. Today, I want to talk about an interesting innovation I read about the construction of O’Hare Airport. (http://goo.gl/WjI8Ek) They collected used composite asphalt shingles and used them as part of the asphalt binder in the runway and various road type structures for the facility. In this post, I will outline the process and the benefits. First, shingles are collected for reuse in the system. At first, there weren’t any incentives added to motivate people to recycle used shingles. However, some incentives have been created through different programs in various locations – all them outlined in the article. One of them is a ban on sending large amounts of shingles to the landfill. Another concept is an increased charge for disposing of shingles as compared to providing them for reuse. The only exception is shingles that incorporate asbestos in their production and various limitations are discussed for reducing that risk. Overall, the incentives seemed effective in my opinion. The next step is that shingles are ground up and melted. Once melted, this product can be added to the pure asphalt binder to increase the volume of this asphalt binder product. At O’Hare airport, the shingles made up a 3% percent portion. This didn’t make a huge dent in the budget but depending on the project it could reduce costs more. Statistics and comparisons are provided in the article. The asphalt binder and resulting asphalt is used like before. As long as any differences in material properties are accounted for, the design and construction remains the same. This results in an easy implementation on the construction and design side of the process. 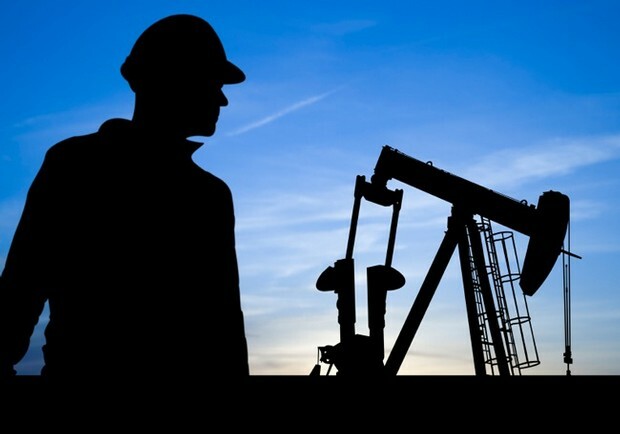 Oil is a precious commodity; anytime it’s usage is reduced, I consider it a good thing. Along with that, it is easier to get a hold of used shingles than oil. For both of these reasons, I consider the reduced oil usage a considerable benefit. The cost of using reused shingles is lower than using a pure asphalt binder. Unless the scale is large, it is a minimal cost difference. However, considering the scale of infrastructure cost these days and the amount of repairs needed, the scale is large enough that it would make a difference. These shingles, if not used in this capacity, would most likely be going to a landfill. The lack of landfill space and shear quantity of human waste going to landfills is a current issue and reducing the amount from the housing would be a large contribution towards reducing that waste. What is your opinion on the usage of this mixed asphalt binder? Does it provide enough benefits to outweigh the cost and effort of changing the process? Are there any noteworthy drawbacks or additional benefits not mentioned? Thanks for your time and have a good week! Concrete Eating Robots: A More Efficient Method of Breaking Down Concrete? Hello everyone. I hope everything is going well. I had a good Easter weekend with my family and I’m feeling rested after a busy week. Today, I would like to talk about an innovation I read about a few weeks ago which is called a “Concrete Eating Robot” as described in a blog post by Peloton Land Solutions. The Concrete Eating Robot is a system which uses a high pressure water jet to break down concrete rather than using a wrecking ball or something else to crush concrete. The water/concrete slurry is then collected to reclaim the reusable materials. The clean aggregate can be used in other concrete mixes. The water is reused by the system so that a large of amount of water isn’t wasted in the process. And the clean and reusable rebar beneath the concrete can be pulled apart for use in other structures. The only waste that I could find according to the article by Peloton Land Solutions is the cement mixture that can’t be reused. This invention has some very good benefits in that the rebar and aggregate can be reused in a very efficient manner. However, cement is the least sustainable product required for concrete construction. And in this case, I didn’t see a method for recycling cement which could make this a critical issue. Depending on the situation, this could negate some of the benefits to the point that this invention might not be worth the investment. For example, if this is a case where a high amount of cement is required and aggregate can be easily procured locally for any new construction, the cost benefit ratio might tilt back towards a more traditional method. If this is a low to zero cement usage concrete in an area where the required aggregate isn’t easily obtainable, this would be a better situation for something like this. What is your opinion on this invention? Do you see it being used regularly in the future? Thanks for your time and have a good week! Hello everyone, sorry about being away for a bit. I had an exam and had to focus in on school work, but I feel like I did good on the exam and can get back to a normal rhythm. Today I would like to pose an interesting question. What is best for the infrastructure industry – public private partnerships or government funded projects? I read a good letter-to-the-editor piece in CE Magazine recently that was critical of politicians who only wanted to pursue the infrastructure investment bank option for increasing investment. In the author’s opinion, it is the job of the government to do whatever it takes to provide the infrastructure systems for this country. I don’t see it as one dimensional as the author does, but this brought an interesting point to my attention. A lot of people involved with the infrastructure industry like the public private partnership type projects as a way to bring more investment to the infrastructure construction and maintenance process. Since increased funding in this area is needed ASAP, I have no problem with them pushing for this option if people are willing to do this. However, issues in the infrastructure industry that can’t be addressed through a public private partnership system are largely over looked. Public Private Partnerships can help relieve a lot of the issues that drag our infrastructure down right now. For example, a private company could charge tolls for a road and use that to maintain the road as part of a business plan. This is a great system once you solve the oversight and standards issues. Another area that this could be beneficial for is management of projects and procuring construction manpower and equipment. As people have discovered with the government projects, having to maintain a large bureaucracy in managing these large projects is expensive. Off loading those expenses to companies willing to do the work would allow for increased efficiency in the infrastructure construction process. However, there are some parts of the infrastructure industry where government investment is required to some degree. The main one I see is the initial investment stage of these large scale projects. Any private company will need some help (or at least an incentive) to take on the large amount of initial investment required. Private businesses in general prefer projects that have large profits and the lowest possible expenses. Government can provide a lot of aid to the infrastructure industry by allowing private companies to apply their preferred model for business. The other area I see the government being essential are the parts of infrastructure where for profit motives aren’t the bottom line. A great example of this is public transportation. Overall, it is a largely inefficient industry in regards to cost and maintenance. However, it doesn’t mean that it is something that shouldn’t be promoted as a part of our infrastructure improvement plan. I’m not saying that we should take a loss in these projects, but it is something that should be offered without an eye towards massively cutting cost or increasing profits. Since a company will not see the same high margin of profits they might find in a large highway construction project, they are more like to not take the project or to maintain an inadequate system due to their goals of minimizing inefficiencies and increasing profits. To sum it up, a balance needs to found between the application of public private partnerships and government funded projects in the infrastructure industry. Some of the ways I think we can find a good balance are listed above. What is your opinion about the balance of the infrastructure industry? Is there anything you think we need to do to improve it? Thanks for your time and have a good week! Visual Project Management for Construction Managers Using Google Glass? This application has a few benefits that I can foresee. The main one is that the user can visualize what needs to be done and what it should look like. I could also see how it would take a complicated construction drawing and help clear up any confusion as to what the specifications should look like. However, I also see a lot of drawbacks. The first one is location issues. If there is any trouble in determining the user’s location, the visual provided will be inaccurate and that is worse than using less convenient methods. Additionally, creating the model and making sure the users on site are familiar with the tech would be difficult as well. And finally, I would think that if the application isn’t designed well, information overload and application management could be a hindrance that slows down the work to the point that it out weighs the benefits of having this visual representation. The benefits gained by having the application aren’t worth the added issues in my opinion. Combine this with the fact that construction managers should already be able to visualize and build the specifications from construction drawings cause this application to be more trouble than it is worth. This is not to say that I think technology is not useful on construction sites. I believe that being able to have a synced database for construction drawings and models would be very useful for a tablet application in a lot of situations. However, there is only one time I see the Google Glass application being useful and that is for people inexperienced in construction/engineering such as owners to walk around an incomplete project. What is your opinion on this application? Are there some different applications for construction managers that would be good for Google Glass? Thanks for your time and have a good week! Hello everyone. I hope your weekend went well. Everything is picking up for me again – my day job and school included. Not in a stressful way though; it feels good to be doing some productive stuff again. Today, I want share the second part of my series of post describing the design of the Karuna House and the topic this time around will be the wall system. As stated in the article, the main issues in designing the wall were moisture, heat and air control. Along with that, this design added the other standard of being able to release moisture once it entered the system as well. With that in mind, the main goal of the wall design was to create a building envelope that was air tight, water tight, vapor permeable and super insulated. On the inside of the wall, standard natural lime coating and dry wall were used for interior design purposes. Beneath that, a stud frame of engineered wood members was built to support the wall structure and was insulated with high density cellulose. The high density cellulose consisted of recycled newspaper and naturally buffered against moisture which improved the walls durability. After that, there was the air barrier which prevented air from flowing through the wall and allowed the insulation to perform at a much higher level. The air barrier was created using plywood coated with vapor permeable liquid applied membrane. After that level, a frame of Z Joists with foil faced Polyiso Foam was placed over that. This element was the critical part of the design in regards to performance and durability. The final element was the rain screen system made out of cedar siding placed 1 inch off of the Polyiso Foam. Window frames were sealed using Joint Seam Filler and Fast Flash around the window structure. Details aren’t provided about door frames but it would be a reasonable assumption that they did the same thing there as well. In my opinion, the design of the wall framing system isn’t as unique as the foundation system. It has been standard practice for a while to use foam insulation and air barriers. The same goes for the window sealant process. However, the attention to detail in what to use and how to apply it is still a good take away for building design in the future. Hello everyone! I hope your holiday break went well. I had a fun time with my family and definitely felt like I recharged my batteries as well. Hopefully you guys could do the same. Today I want to start a series of blog posts on a detailed overview of the high performance systems used in the Karuna House created by Holst Architecture and Hammer & Hand. The Karuna House is a house designed to meet Passive House standards, Minergie-P-ECO, and Platinum LEED Home Standards. The client is a leading proponent of high performance design technology for climate control. This house is intended to be a case study in the usage of the current technology on the market today. In the first part of this blog post series, I am going to discuss the design of the foundation and the energy saving technology applied in that part of the design. The main concern for the foundation involved insulating the basement and foundation. With that in mind, most of the technology focuses on maintaining a good quality building envelope that insulates well. The first step was the cut and fill for the excavation. In this step, the cut was balanced with the fill to ensure that there wasn’t a need to haul around aggregate to complete the fill process. For the next step, an Expanded Polystyrene (EPS) geofoam foundation insulation was placed around the cut and fill earthwork before the concrete foundation was constructed. Next, the footings beneath the structure were placed and a moisture blocking capillery break material was placed on top of that. 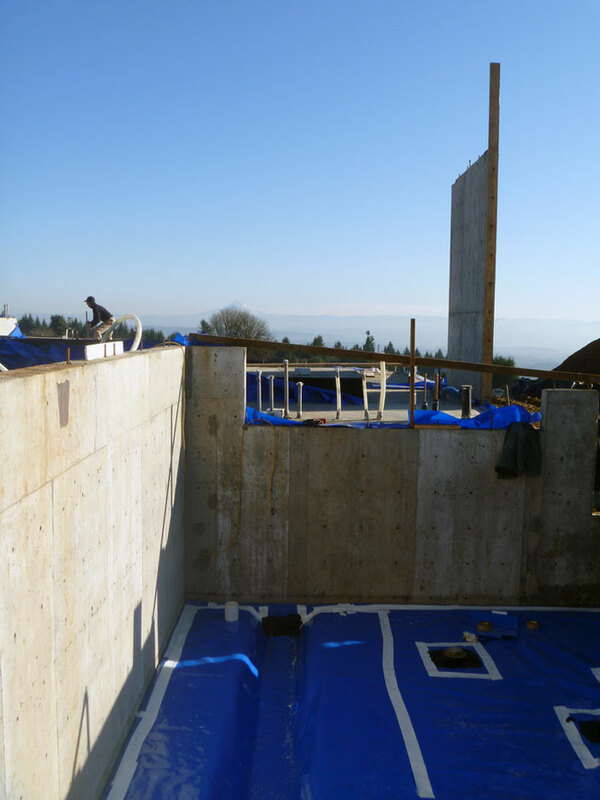 Once the footings were in place, gravel fill was placed for the foundation base and the basement foundation wall was constructed with a vapor barrier extending to both sides of the wall. The concrete mix used in the basement foundation wall consisted of 30% fly ash and used locally sourced aggregate. In order to obtain better energy efficiency, EPS was placed in critical thermal bridge sections. Along the foundation walls, a product called a drain board was applied to it’s surface as well to allow water to flow down the foundation walls and past the footings. Once all that was completed, they applied the vapor barrier over the gravel base and laid some more EPS foam before they constructed the slab portion of the foundation. My take away from reading the article and watching the videos is that there are two critical issues that affect house foundations – moisture control and thermal bridging. The designers used the EPS and vapor barriers to address these issues. Along with that, methods of construction were used that reduce the use of energy/material in construction as well. Overall, I think this was a good application of some practical design ideas. A lot of designs like this get caught up in following the latest complex and cool looking trend instead of finding a solid and fundamental solution to the problem – this design avoids that fairly well. Hello everyone. I hope you and your family had a good Thanksgiving. My family in Texas got together for the first time since my Aunt Nana passed away, so it was good to have everyone back together again. Today, I want to pose another question related to architecture. I got to thinking about topics at the last minute and I was reading my previous weeks post. It got me wondering if I could find some quotes that outline the overlap of engineering and architecture. The format I’m going to go use is the following: bring in a quote, then interpret what I think it means and close by posing a question as to your thoughts on it. Even though this doesn’t mention architects or engineers, I started with this because it outlines the main goal of an engineer. Come up with the simplest and most effective system for building a safe structure. Efficiency can take many forms (money, material, time, etc. ); whatever we define efficient as, that is usually our goal. And the interesting thing is that architecture has recently trended towards this same thing in modern city design. And yet the classic concept of architecture is to make a structure pretty and artistic; efficiency was considered low on the list of concerns based on the buildings with a heavy architectural design influence over 100 years ago. Where do you see the trend going and how has efficiency played into the design process for architects? He is a famous musician and artist, and I would imagine that he is what we would call the classic creative personality – whimsical and artsy. Engineering from this negative perspective alone would make one think that we just lead dull boring careers and do nothing interesting with the buildings we design. Most engineers knows that this not always the case, but I could see some of our work falling into this category. However, when combined with an architect who has a flair for the creative, it can allow us to apply the concept of learning a function and performing that function to a whole new level. It can force us to design structures that use that function in unique way and exercise our problem solving creativity. Have you ever had to use some creativity to solve a problem in your field? How often do you have to do so and how important is it? Now I am going to bring in two quotes that combine to have an interesting message. Both of these quotes have a combined message that architecture is critical in making a structure complete. Not only do structures need to fulfill their purpose but they need to look good and be pleasing to the users. And not only that, architects are the ones who do this. That engineers are the boring ones who make it function and architects are responsible for the creativity. I strongly disagree – there are many times I have listened to a engineers talk about a project and they talk about their input on the creative work they have done with the architects. A lot of times it is in taking what an architect has drawn up and come up with a modification just as aesthetically appealing. And sometimes, the engineers themselves play the dominant role, as shown with the recent trend of having landmark bridges in cities. Who do you think is the most important person as far as creativity in the design is concerned? Why is that? And finally I would like to end on a humorous yet enlightening quote. For me, this outlines exactly the unique function engineers bring to any process. We may seem narrow minded and boring, but for the most, we believe that there is always a better a way to design something. The need for efficiency in regards to time, money, and material bring us to an end result. 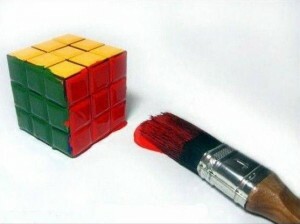 However, this unique idea that there is always a problem to be solved drives a good engineer. How often do you see yourself exhibiting this trait? Is it usually in a positive or negative aspect? I hope you enjoyed the far less than technical post this week and didn’t find it too pedantic. Please share this post if you find it interesting and follow me if you want to read more of my blog posts. Thank you for your time and have a good week! Hello everyone, I hope your week is going well. My summer has gotten off to a good start and for once I’ve found a few opportunities to travel which should be fun. Being broke has hindered that the last few summers and it will definitely be refreshing after so long without a good vacation. Today I wanted to talk about Tony Stark as a controversial example of company leadership. I was inspired to write this after reading an article about this by someone else, but I have a slightly different opinion than her. Humility: Listening, learning, sharing credit. Candor: Willingness to speak openly and honestly. Patience: Recognize that some solutions emerge slowly. Empathy: Sensitivity to others that promotes understanding. Trustworthiness: Track record and character that inspires confidence. Openness: Being receptive to all people and concepts. Flexibility: Ability to change and adapt as circumstances require. Vulnerability: The courage to be human and make mistakes. Balance: A well-rounded sense of purpose. She sums this up by saying that all of these qualities imply that employees value stability and emotional intelligence in their leaders more. However, I feel that there are some good qualities that Tony Stark has as well. While it may not easy to define, I think it can be summed up in four basic qualities. His biggest asset is that he can come up with a plan, present it to others well and motivate other people to help him execute that plan. The second quality that he is completely involved and up-to date in his field of science and technology which is important for the leader of any company. The third quality he has is that he engages people. He may not always be perfectly tactful or politically correct; but when he is talking, telling a story, conversing with anyone – he captures their attention and can capitalize on that. And the last quality is that he gets excited and energized by leading people, and this pushes him to work hard in his field.